Input promo code to enjoy these offers! 20% off Singapore Cable Car Sky Pass (Round Trip), Sentosa Merlion (Standard), Wings of Time (Standard). *Please contact SAFRA for Promo Codes. *Also available at One Faber Group Ticketing Counters. Flash your SAFRA Card to enjoy the following discounts! 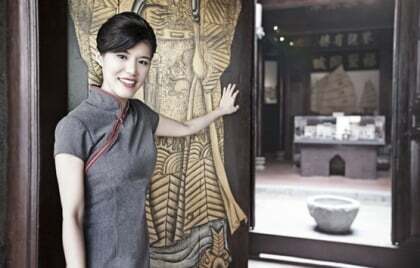 5% off F&B at Spuds & Aprons, Merlion Cafe, Good Old Days and Show Bites. 10% off retail at all Singapore Cable Car Gift Shops & Fun Shops. * Valid from 1 Apr 2017 - 31 Mar 2018. Promotion is valid for purchase of up to 6 cable car tickets per transaction. Promotion is valid for purchase at Singapore Cable Car ticketing counters only, unless otherwise stated. Promotion is valid for on-day usage only upon payment made. Retail discount does not apply to promotional items, confectionery products, drinks and convenience items. F&B discount is not valid on eve of Public Holiday, Public Holidays (based on Singapore Holiday Calendar) and signature events such as Valentine’s Day, New Year's Eve, etc. F&B discount is not valid for promotional menu. Additional specific terms and conditions apply to the respective offers. 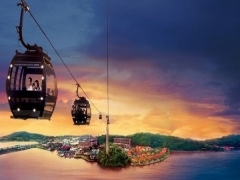 Check-out Singapore Cable Car for more details about this offer and to see all deals up for grabs!